It all began when Ravi Patel, a 30-year-old Indian-American investment banker turned Hollywood actor, pestered by his parents on a long flight to India to get married, agreed to search for his bride the "desi" way. 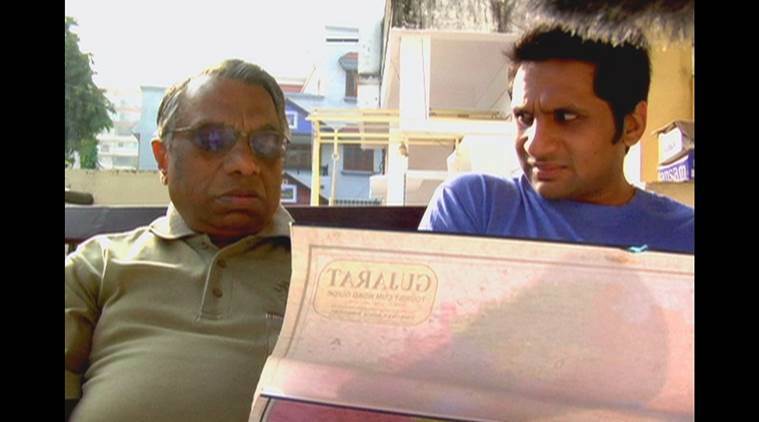 In a scene from “Meet the Patels” Dad explains which area of Gujarat Ravi Patel should find a girl. It all began when Ravi Patel, a 30-year-old Indian-American investment banker turned Hollywood actor, pestered by his parents on a long flight to India to get married, agreed to search for his bride the “desi” way. And Ravi’s sister Geeta, just out of making a war zone documentary about Kashmir, now learning to handle the camera, started filming “half seriously” the “family affair” to find a desi partner for Ravi, who had just broken with his white girlfriend of two years. How what began as a family vacation video eventually turned into a hilarious romantic documentary about arranged marriages is an equally heartbreaking story as the sibling co-directors of “Meet the Patels” relate it. “When we got to India, Ravi realised that what he was going through is what so many people have gone through,” the duo told IANS on phone ahead of its Friday release in New York City, Chicago and Los Angeles. It opens in additional US markets including Washington DC, Boston, New Jersey, Philadelphia, North Carolina, Detroit, and Tampa on Sep 18. “He felt so many people were living that story and yet no one had told it properly,” said Geeta who was equally under parental pressure to get married. Many a film and media shows “depict arranged marriages and semi-arranged marriages in Indian culture more like a joke – like parents are weird, that kind of thing”. The conversion of the home video into a documentary “just happened by accident,” said Ravi. But despite some shaky camera work, they never thought of reshooting the film. “The documentary is so authentic and real, what happened at the moment,” according to them. “The only stuff that we put a lot of effort was in producing animated moments,” said Ravi. “The animation came essentially from the fact that we were making this film about our family,” added Geeta. But how come their parents did not appear camera conscious at all. “I know that’s crazy, right. It was so natural,” said Ravi. The brother and sister team spent six years in making the film and at the end of it “nobody wanted it.” What kept them going was “Pride,” said Ravi. “We both believed in it,” chipped in Geeta. So what comes next? Are they planning another joint venture on one more desi issue? “Geeta and I are working on some projects together – some pretty exciting stuff,” said Ravi though he would not say what it was.